Definitely very pricey for what it is but you need them to wire up di2. It’s a cable. It works. Simple as that. No need to say any more. The 150mm one was ideal to ad the Di2 Bluetooth Wireless unit. Not much can be said about a simple cable, but it works as it should and was very easy to instal. Shimano quality even in a wire. Simple but one less thing to worry about with your Di2 setup. Nothing flimsy or fragile about this connecting wire. Everything is solid. Great wires, they fit perfectly on my Fox iCD! They perfectly fit on my Fox Kashima iCD system, I had no issues installing them or getting them compatible with the iCD system. Really easy to install. Works as it should... No complaint! As usual, outstanding and availability is great! Replaced a frayed di2 cable. Very easy to install with correct tool First time with Di2 so cannot compare it to old Dura Ace configuration. Just wanted to try electronic shifting and now I'm hooked on it. There was no problem with my mechanical shifting, this is just nicer. For upgrading my bike to Di2, I looked all over, and these were the best-priced cables with the largest selection of sizes. Excellent, as expected! Hands down the best price I could find, more than half off the nearest competitor! These Di2 wires are easy to run and connect. There's not a whole lot to say. It works perfectly and was the best price that I have found. This was my first experience with Di2 and I'm not sure i'll be going back. Works well, but a bit pricey. There is no aftermarket substitute, so Shimano has you over a barrel on pricing. I recommend the cheap plastic tool to make and break connections to the ports. Needed extra wire connector for my wireless unit. Perfect length. Clean connect job. You need these to set up your DI2. Henson always ships quickly! 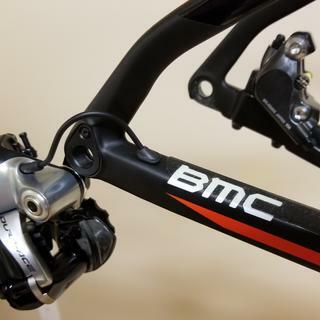 Building a new BMC Roadmachine 01 and Dura Ace Di2 is a must. Newer frames have made cable routing much easier and the E-Tube wires slide through the smallest holes. Shimano snap in/ out tool makes connects a snap -literally. 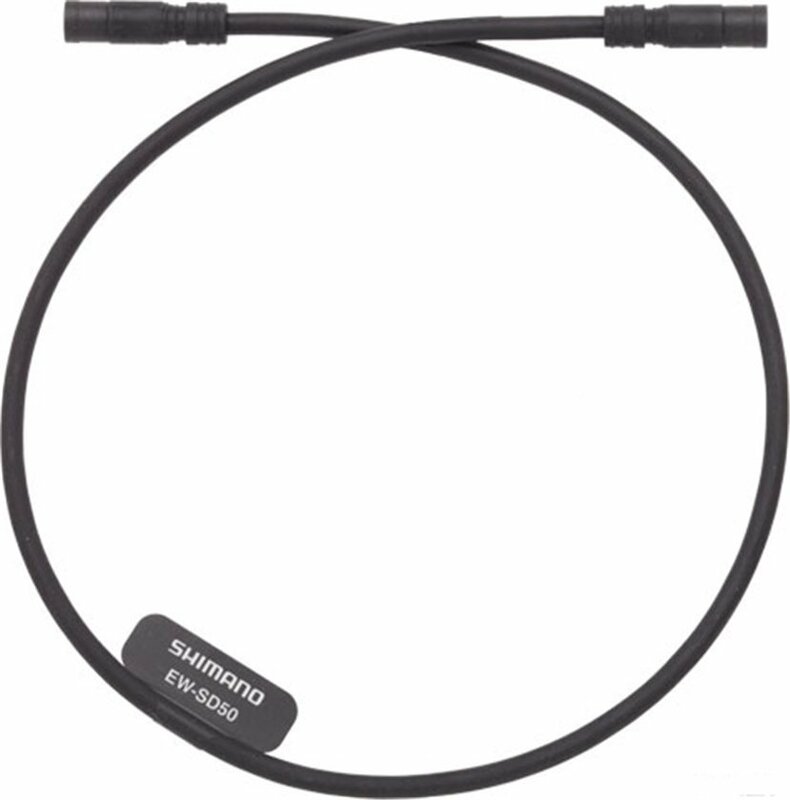 Shimano also produces a great selection of grommets for E-Wires too. Hard to have a strong feeling about wires. On one hand these work great. On the other they are not as robust as one would like. Make sure you don't have any tight bends in them. Looking to build my first Di2 setup. I'm going with XT 8050. Wanted to make sure I get the correct cables and junction box. Are there more then one version of the E-tube cables available? How are these for compatibility with XT Di2? BEST ANSWER: XT and XTR wires (not cables!) are interchangeable. The big question with wires is length, and will depend on frame type and size, and what type of battery you run (external, or internal seatpost or headtube). I run an internal headtube battery - SMBTR2. Best to consult with your LBS or other online vendor to dial in what works for your bike. Also, on XTR/XT Di2, the display unit functions as the junction box. You'll also need the appropriate charger for whatever battery you choose. Shimano does not include a batterry charger in the Di2 box. I used these wires for my XTR Di2. I think they should work fine with XT Di2. I'm not sure you ask about internal or external junction box. However, the display is junction box A. I also used two internal junction boxes because I have front and rear derailers and front& rear shocks. As far as I know, Di2 wires are in different lengths. Make sure you order correct length. For any further question, feel free to contact any time. etc. Good luck, Di2 is amazing! As far as I can tell there is only one type of e-tube cables available. The only difference between the ones offered is the length. The ones you are looking at are the same ones that I have on my di2 setup. Simple to hook up, just push together till they click all the way in. 6870 rear derailleur with an 11-32 cassette. It all works great.